Send flowers to Chile through our extensive network of quality local florists. Send them the same day when you order by 12 noon, Chilean time. Delight your loved ones with the freshest, most beautiful flowers in Chile when you send flowers to Santiago de Chile, Concepcion, Villa del Mar, among others. At daFlores, we make it easy for you to keep in touch because we know how hard it is to be separated from your loved ones. Our flower delivery in Chile consists of only the best and freshest flowers handled by experienced, knowledgeable florists who are committed to selecting the finest flowers each morning. So when you would like to send flowers to Chile, send them with love and be assured that with daFlores.com, your flowers are freshly picked and carefully arranged by florists from flower shops with decades of experience. 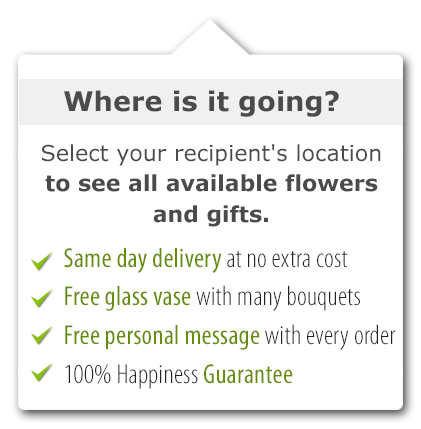 We can even arrange same-day flower delivery in Chile when your order is placed by noon, Chile time. To do this, visit our website and pick Chile from the list of countries and then select a product. You can fill out the details and have your flowers delivered to Chile before the day is through. With our years of experience, commitment to superb customer service, and the highest quality Chilean flowers, choosing us to send flowers to Chile for you will surely make your loved ones smile! Flower delivery in Chile has never been easier or fresher. 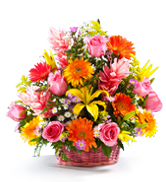 Please click on the image of the flower arrangement of your choice and have your flowers delivered to Chile today. 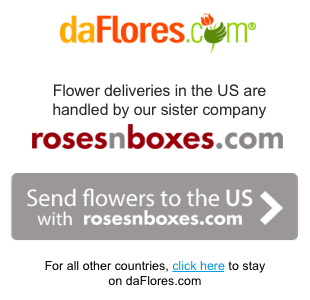 No matter where you are in the world, you can easily send your loved ones a bouquet of beautiful flowers with the help of daFlores.com. By clicking on an image and entering the necessary contact and delivery information, you can send a bouquet of roses, lilies, and other flowers to friends and family in this beautiful country. With the wide variety of flowers in Chile and the growing number of florists that are part of the daFlores network, you are assured that the flowers delivered are fresh and beautifully arranged. To add a more personal touch, you can have it sent with a box of chocolates and a bottle of wine to complement your gift. With fast service and the freshest flowers, Chile is no longer too far for you to send flowers to your loved one to. Give us a call by dialing 1-888-432-3567 for more information on our services. Same Day Flower Delivery to all cities in Chile. Para ver esta página en Español, favor visitar nuestra página de Enviar Flores a Chile.